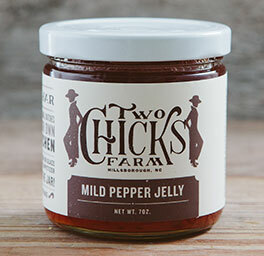 Six types of peppers give this sweet jelly its unique peppery flavor with the heat kicked up a few notches. Made with all natural ingredients. Peppers are grown sustainably on Two Chicks Farm. 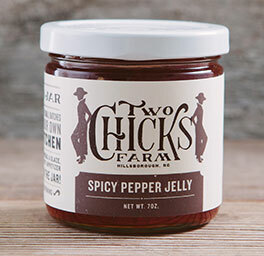 Ginger combined with sweet peppers gives this pepper jelly a unique flavor. Made with all natural ingredients. 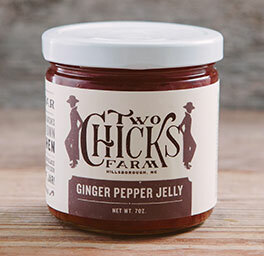 Peppers and ginger are grown sustainably on Two Chicks Farm.